Twilight came early in Victorian London as the assassin emerged from an alcove. Drawing the concealed blade from her Assassin Bird Sword Cane, she buried it in the neck of the grifter, who dropped behind his cart with a muffled thud. 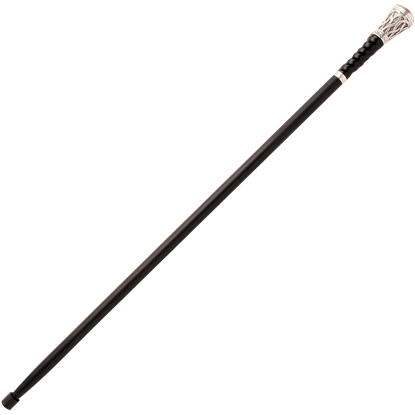 Extremely attractive, with affluent styling, the contoured, buffalo horn adds to the refined appearance and makes for a very comfortable handle on this sword cane. The fit and finish will surely make you the envy of the other chaps. 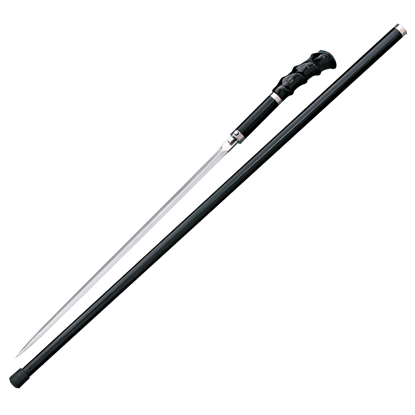 For the modern gentleman who walks a fine line of risk and adventure, the Carbon Fiber Cane Sword with Hidden Dagger is the ideal choice for a refined, discrete way to add protection to everyday life for when things become uncivilized. On the rare occasion, a situation will arise when a gentleman must get his hands dirty. Who said you cannot do that and more while keeping your elegant style? 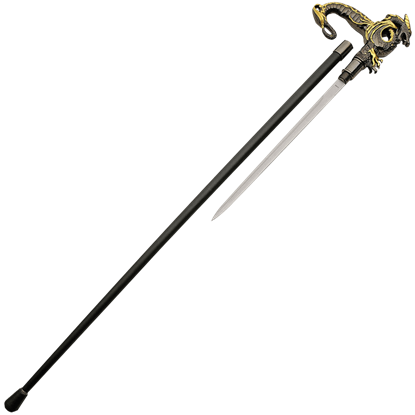 With the Carbon Fiber Cane Sword with Hidden Switch Dagger, now you can! 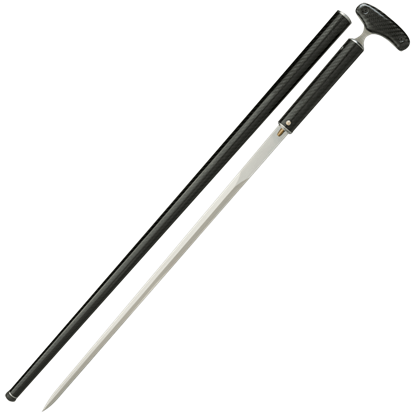 Walking along the street has never been so stylish or so deadly than with the Celtic Knot Sword Cane. This cane displays an aluminum handle with Celtic knot and triquetra designs, all polished to a mirror shine. 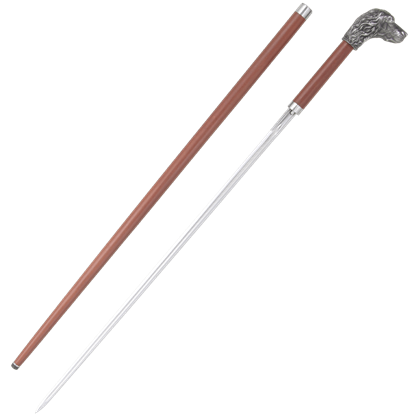 The tradition of the sword cane originates from a time when carrying a dress sword became unfashionable or even illegal. 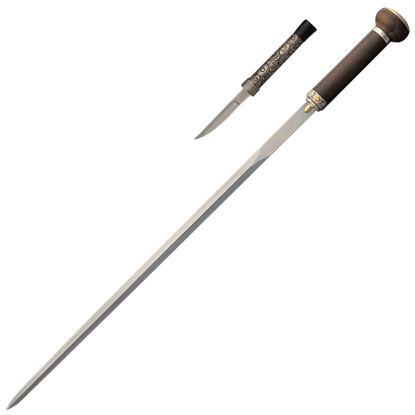 Our Damascus Taiji Sword Cane with Knife possesses all the accoutrements of a high society sword. There is classy, there is dangerous, and then there is dangerously classy. 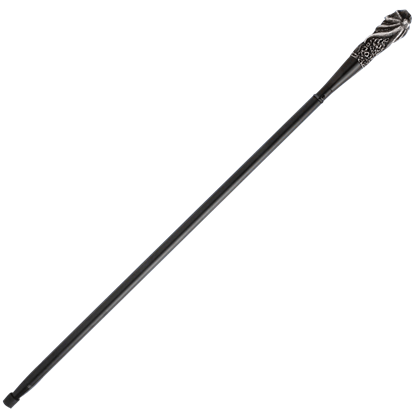 Be dangerously classy with the Dragon Sword Cane. 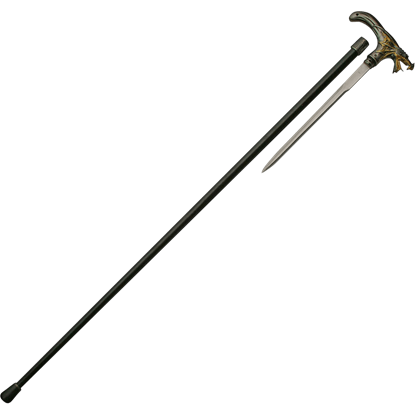 On the outside, it is a classy cane with a dragons head handle, but hidden within is a deadly blade. 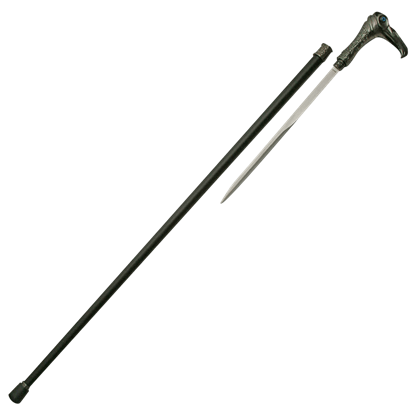 The last time you saw a sword cane like this was in a movie. 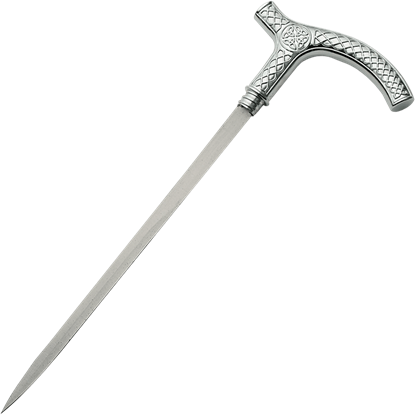 Our Dragontail Cane Sword is designed to inspire shock and awe with its two-toned dragon design. 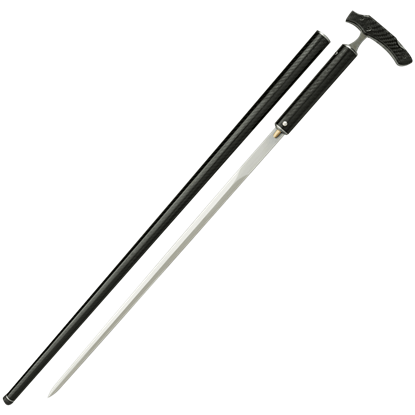 This dual-purpose cane can double as a sword for self-defense. 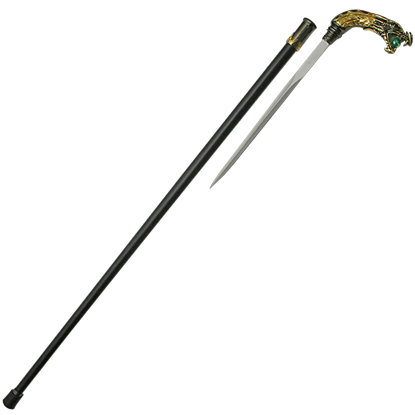 With a marvelous walking staff like this Golden Dragon Sword Cane in your hand, many people are bound to become envious. But you should not worry, because if anyone ever tries to steal it away, you can just pull out the hidden blade!